Im excited to be taking part in the Christmas 2013 Ultimate Gift Guide for Kids! If you go to No Twiddle Twaddle you will find the home page for this guide with over 50 different gift guides to browse through. I am posting 2 different gift guides, one thats based around Jake's (almost 4 year olds) interests, and one around Poppy's (1.5 years old) interests. 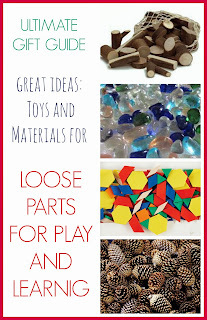 You can find Loose Parts for Learning and Play here. 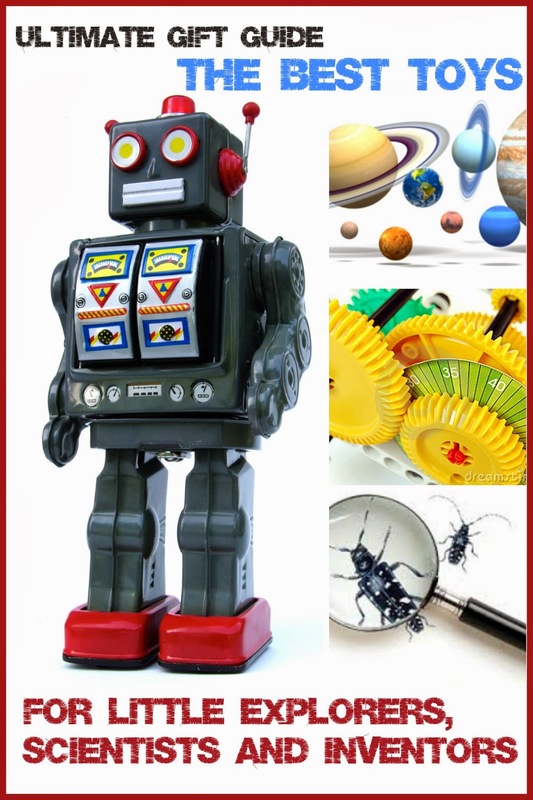 And here we have the Best Toys for Little Explorers, Scientists and Inventors, with toys for discovering and creating with the world around us for curious and creative boys and girls! These toys have no set age, but I would recommend between 2 and 8 years old depending on your child. No USA link - sorry! Don't forget to check out all the other fabulous gift guides too! You can also find these lists and last year’s lists on our Ultimate Gift Guide Pinterest board. Be sure to follow it for lots of awesome ideas! Enjoy your shopping and have a very merry christmas this year! Check back soon for our Christmas bucket list; all the lovely things we want to do this holiday season as a family. Don't forget to check out our other gift guide too - Loose Parts for Learning and Play.